MTN View Kennels is a non-profit organization 501(c)(3) working to support those living with diabetes. This means we can offer our Training Services and our Puppies as fund raisers for our non-profit. For more information please contact us. Diabetes is a lifelong disease that greatly impacts those who suffer. Diabetes Alert Dogs are a life altering tool for those living with Type 1. Diabetes Alert Dogs give diabetics a sense of security that is priceless. Please contact us for more information on starting the process. Support those living with diabetes secure a Diabetes Alert Dog. As a 501(c)(3), for all donations made, a tax receipt will automatically be emailed to you. We will follow-up and let you know how your support connected our DADs to those in need. Please say hi to this precious puppy! 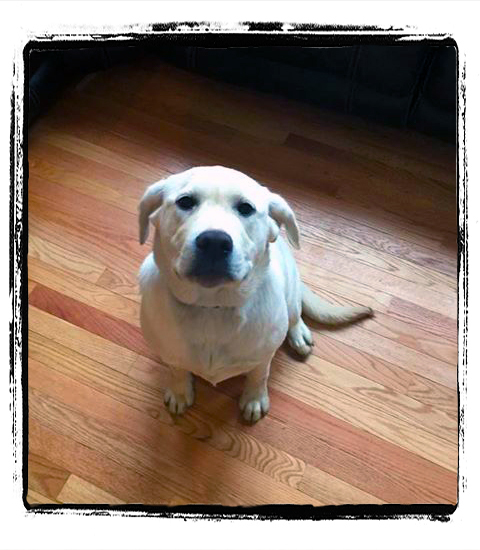 Her name is Lilly and she is a six month old creme colored Labrador Retriever. Lilly came to us a little over two weeks ago. Lilly’s mom and dad got a divorce and Lilly’s mom couldn’t take her and Lilly’s dad didn’t want her so Lilly was left to run wild on his farm. When I got her, Lilly’s parents couldn’t tell me what shots she had if any nor could they tell me what veterinarian she had gone to so we started from scratch. The good news is she was heart worm negative! Lilly had never been on a leash and didn’t know any commands. Lilly has already learned to sit, down and come on command. Lilly is working on walking politely on a leash. She loves to use her nose to find things and she is learning really fast so we are starting her in training to be a Diabetic Alert Dog for a child with type 1 diabetes. We are going to let you follow along with Lilly’s training through our Facebook page. The first phase of Lilly’s training is to learn basic obedience and to be imprinted on the hypo glucose scent. We will be working on this for the next three weeks. As Lilly’s obedience improves we will start socializing her now that she is up to date on all her shots. 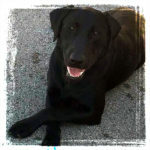 Please send Lilly positive thoughts and prayers that she can be successful and have a great life helping a young human to have a better life.